The Editors Guild of Sri Lanka has expressed its deep sorrow at the sudden and premature passing of Jatila Wellaboda, most recently Consultant News at the Independent Television Network and a senior journalist who at various times in his career edited the Lakbima (daily edition) for 10 years and the Irudina published on Sundays. He also edited the websites Frontpage and Savana and recently accepted an appointment at ITN moving from print to the electronic media. Starting his journalistic career in 1984 as a sports reporter in the Divaina Sinhala daily published by Upali Newspapers, Jatila rose rapidly through the ranks of the profession over a period of three decades making numerous friends within the profession and outside. He was a skilled journalist, with a nose for news and a flair for the use of the Sinhala language, which he wrote in a crisp and easily understandable style filling many slots as newsman, analyst, commentator and editorialist. As Venerable Kollupitiye Dhammarakkhitha, the incumbent of the well-known Kelaniya Raja Maha Vihara said in an Anusasana before the pansakula ceremony at his home, he always tried to assist as far as possible anybody who sought his help and never did harm to anybody. Many of his journalistic friends did not know until they heard the Nayake Thero that he was a long-time member of the Dayaka Sabha and the Development Society of the Kelaniya Temple. Living as he did in Kelaniya and being the son of the long-time principal of the Kelaniya Vidyalaya, it was natural that he would play a major role in the affairs of the temple. A warm, friendly and unassuming personality with a pleasant demeanour, he took a keen interest in professional matters relating to journalists and gave unstintingly of his time and skills to the Editors Guild. «We shall all miss him and offer our deepest condolences to his wife and two children. 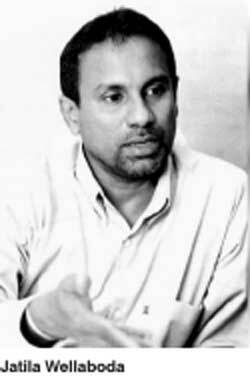 May he attain nibbana,» the Editors Guild said.